Former Santee City Councilman and current State Assemblyman Brian Jones will host an ice cream social to celebrate the grand opening of his new District Office at 10152 Mission Gorge Rd. The event takes place on Thursday, August 18, and runs from 4:00 to 7:00 p.m. You can expect a large gathering of local business owners and politicians, as Jones has been an active participant in Santee’s growth over the past several years. To RSVP for the celebration, contact Gail Ramer at 619-441-2322. 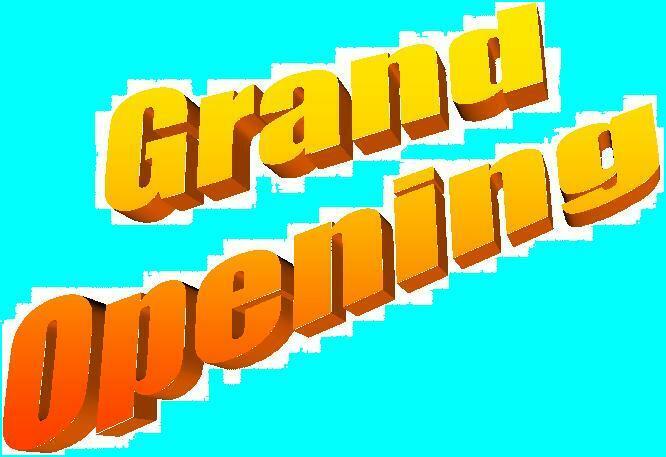 There will be two grand openings around town this Saturday, May 7. Both events begin at noon, but there will be plenty of time to make it from one to the other if you plan your day right. There will be food, fun, and a Charger at one of the locations. 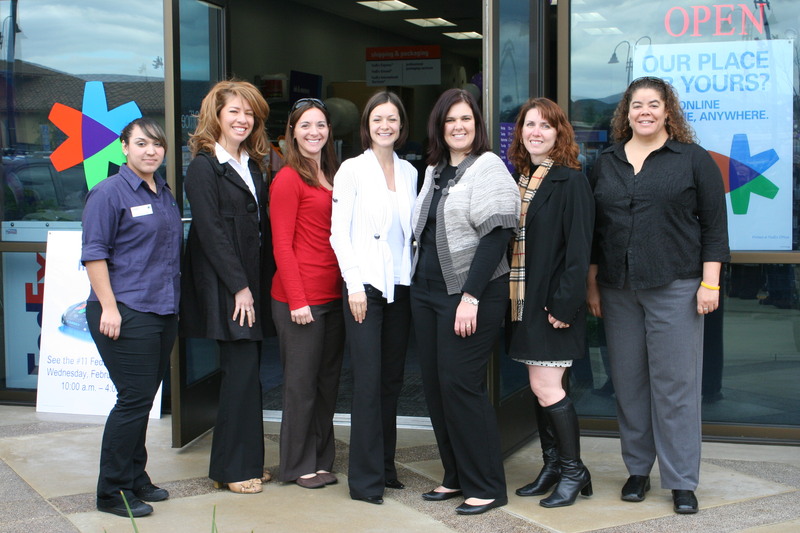 The first event will be the grand opening for the new Cox Santee Solutions location at 9349 Mission Gorge Rd. The celebration will run from noon until 3:00, but the best time to show up is between 1:00 and 2:00. During that time San Diego Chargers quarterback Philip Rivers will be on hand to greet fans and sign autographs. 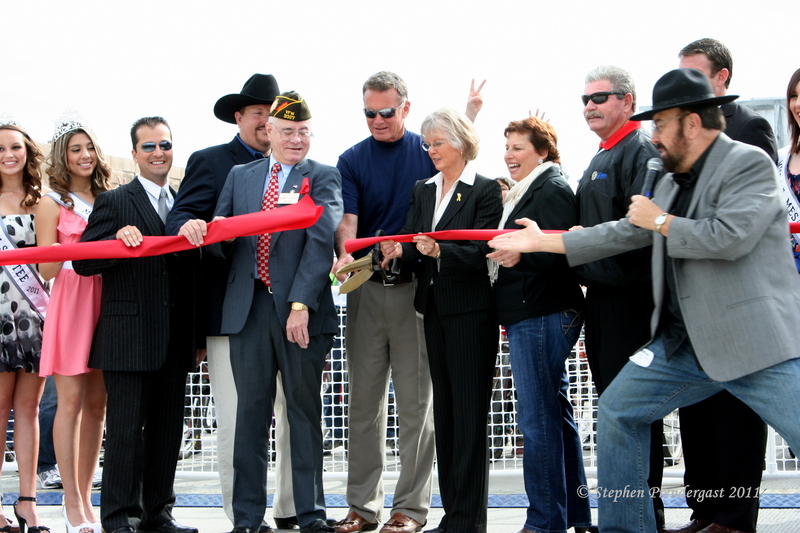 There will be a ceremonial ribbon cutting with the Santee Chamber of Commerce before that and plenty of fun. 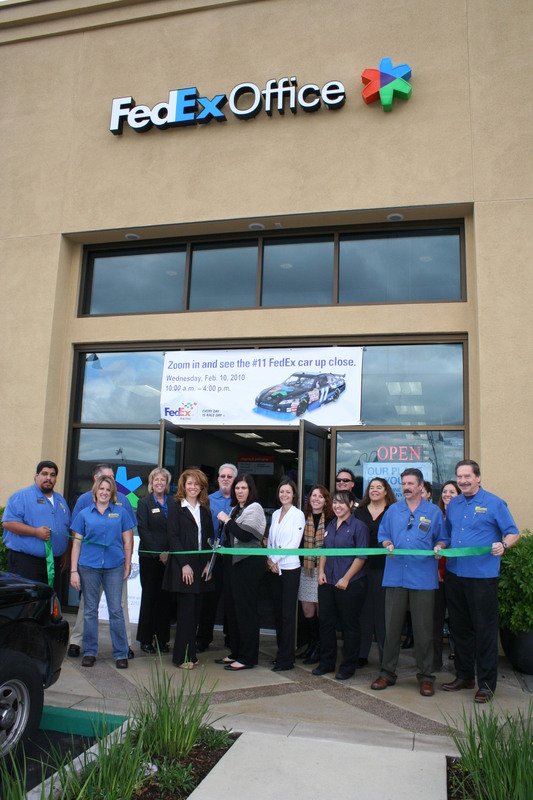 The second grand opening is the new Chamberlin’s Travel, located at 9550 Cuyamaca St. #204. This also begins at noon, but the ribbon cutting is at 3:00, which gives you plenty of time to catch the first ceremony and see Philip Rivers at Cox before you run down the street to Chamberlin’s. There will be food, fun, and prizes here, so be sure to swing by. 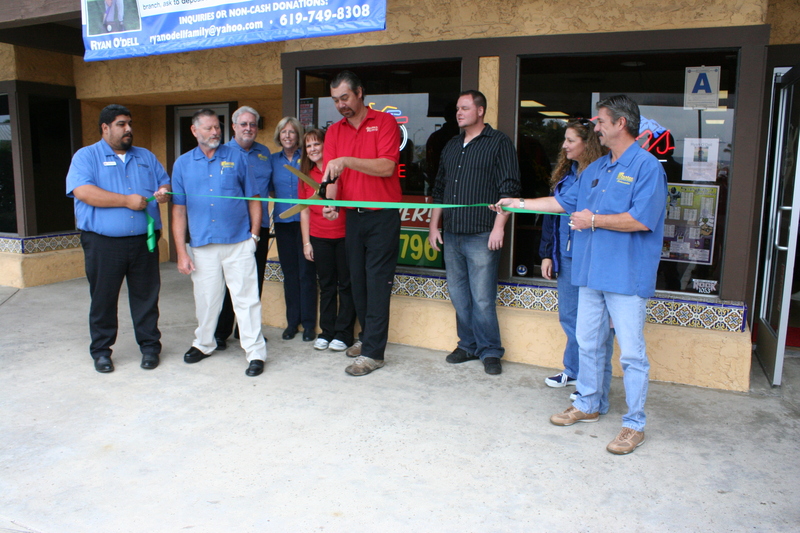 Jimano’s Pizzeria celebrated its official Grand Opening with a ribbon cutting ceremony on Saturday, October 23. 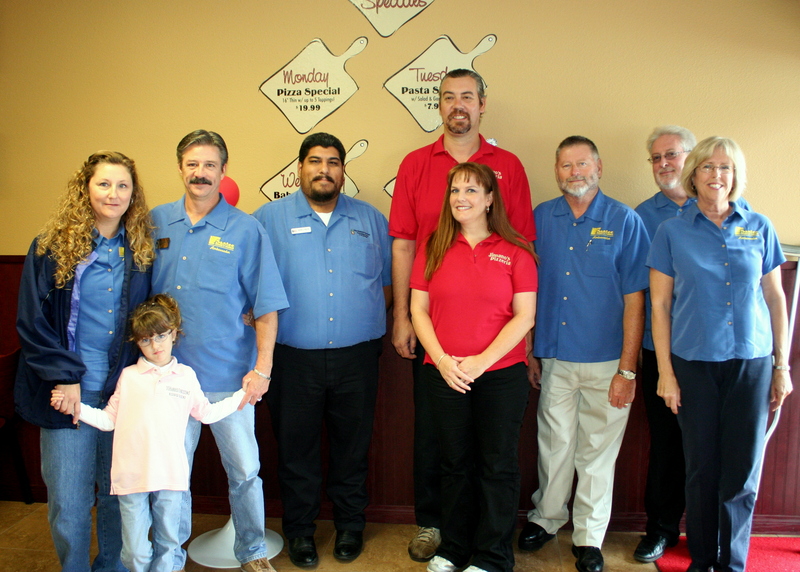 Members of the Santee Chamber of Commerce Ambassadors were on hand to celebrate with owners Matt and Bernadette Miller, Manager Jason McCarty, and the entire Jimano’s team. Although the restaurant has only been open a few short months, the Millers have already stepped up as part of the community. Just two days before the grand opening, the restaurant hosted a fundraiser for Ryan O’Dell, a young Santee boy recently diagnosed with a brain tumor. That effort brought in around $2000 to help the family with medical costs and other expenses. I had the chance to try out one of Jimano’s deep dish pizzas and definitely enjoyed it – great flavor and just enough spices to give it a nice kick. Several people there were raving about a beef sandwich that comes smothered in melting cheese and stuffed with jalepenos – definitely on the “to try” list. 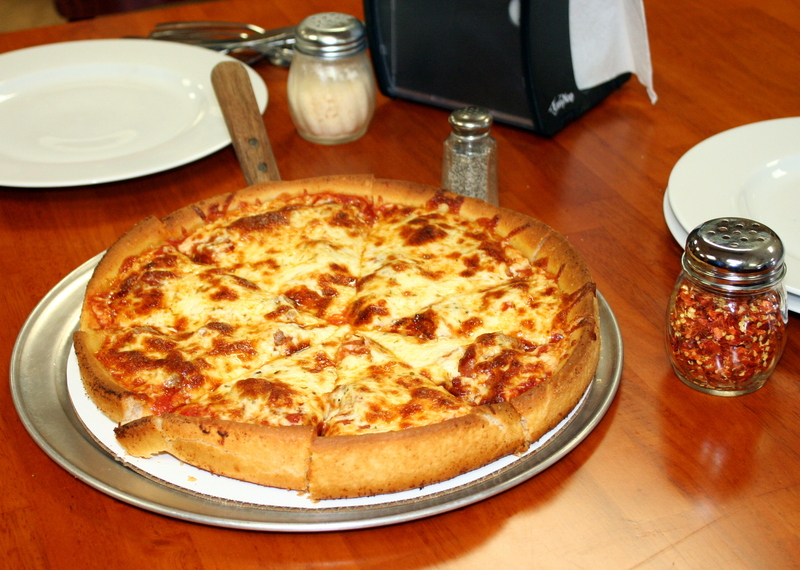 Jimano’s Pizzeria is located on Mission Gorge Rd. in the center across from the Post Office. Check them out soon. 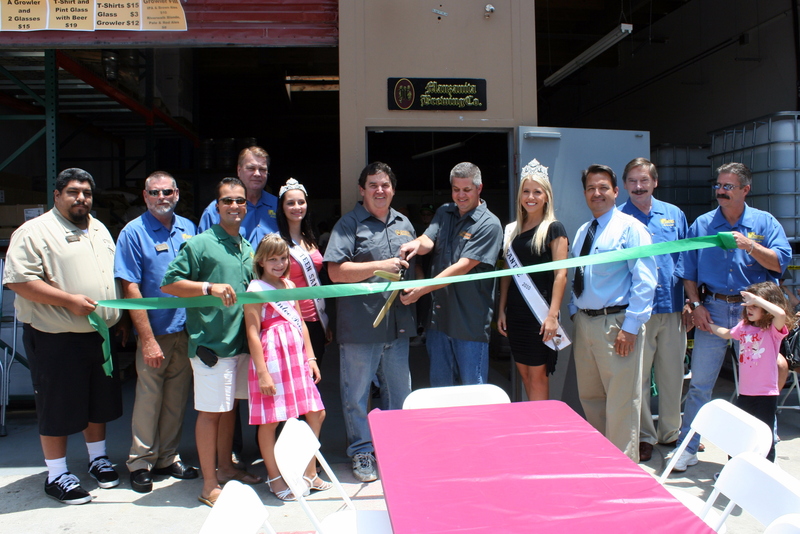 On Saturday, July 10, Santee finally came of age with the Grand Opening of its very first nano-brewery, Manzanita Brewing Company. 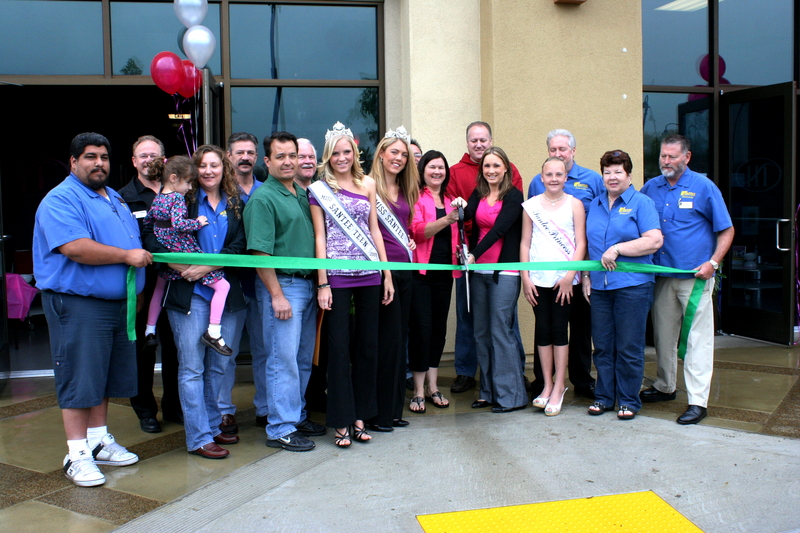 Members of the Santee Chamber of Commerce, Miss Santee and part of her entourage, and friends both real and virtual showed up for the 1:00 pm ribbon cutting that marked the official opening of this new venture. 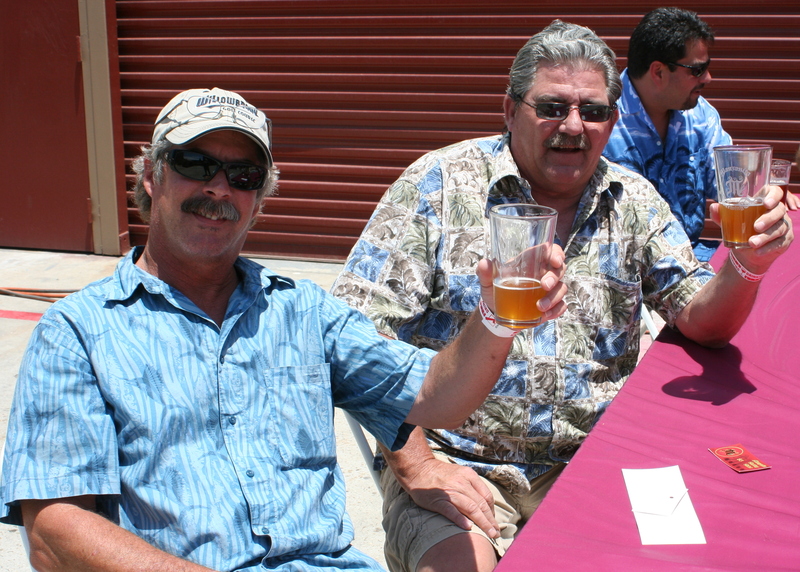 The day was extremely well attended, in part because of an aggressive social marketing campaign by the brewery that included a Facebook page created when work was just starting. They regularly posted updates on the progress and had nearly 300 fans by the grand opening, many of whom dropped by for the festivities. 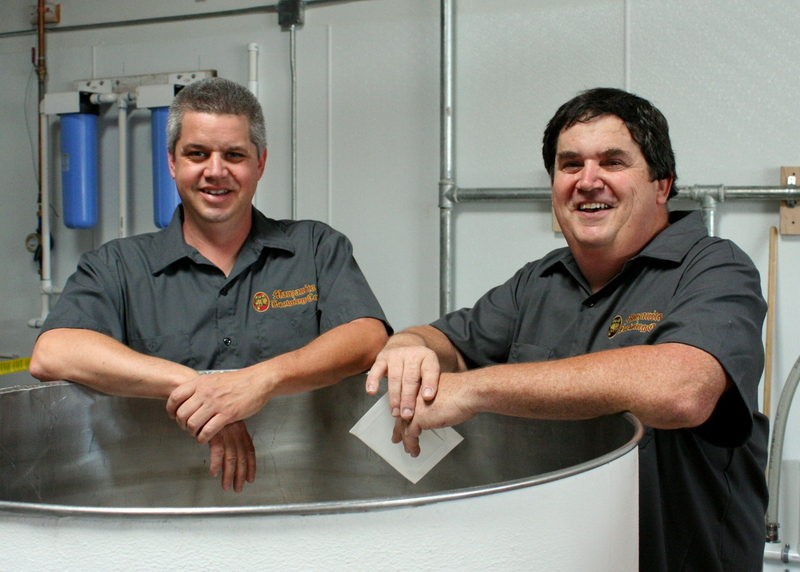 Owners Jeff Trevaskis and Garry Pitman got the idea for their business when they were both laid off from their work in software testing in December. Both had been home brewing for friends and family for some time, and they had received many compliments on their efforts. 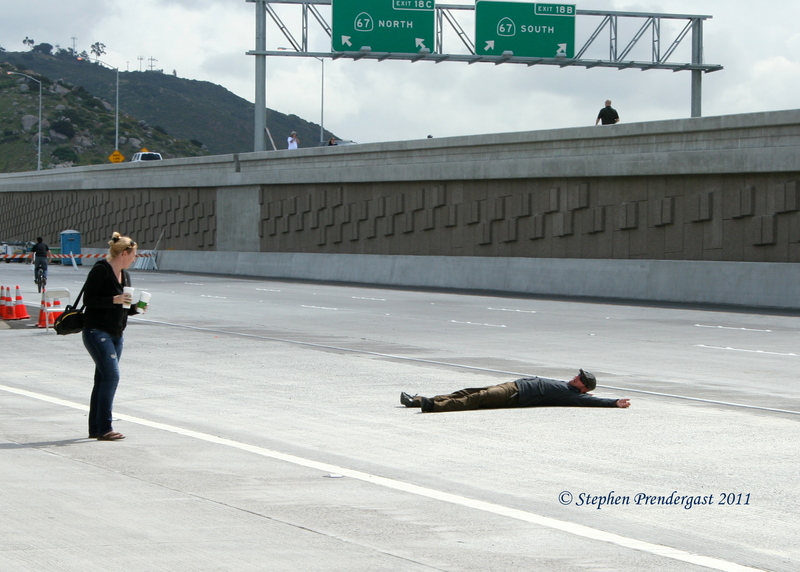 Having time on their hands, they decided to take the plunge. Because they live in Jamul and Temecula, the wanted to find a location somewhere in between, so the looked into both El Cajon and Santee. 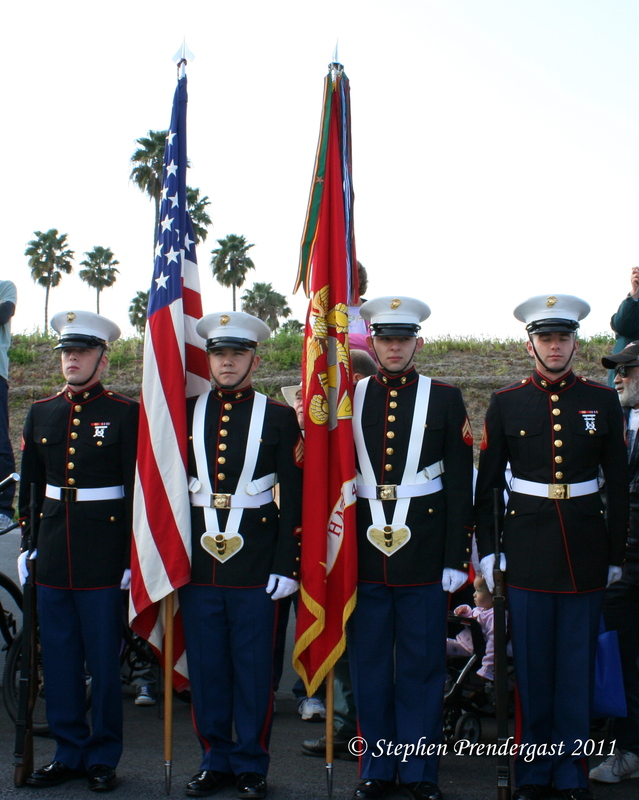 Jeff said that they tried several times to contact the planning department in El Cajon, but never got a response; on the other hand, Santee was very receptive to the idea and responsive to their questions and requests. The entrepreneurs were also impressed by the service they received from Padre Dam Water District. Jeff explained that they had contacted the District last year for information about water requirements for the brewery, then did not talk to anyone for almost three months. When they finally did recontact the District the response was, “Oh, yes, we have all your information right here.” When you are dealing with government agencies, this kind of attention is greatly appreciated. 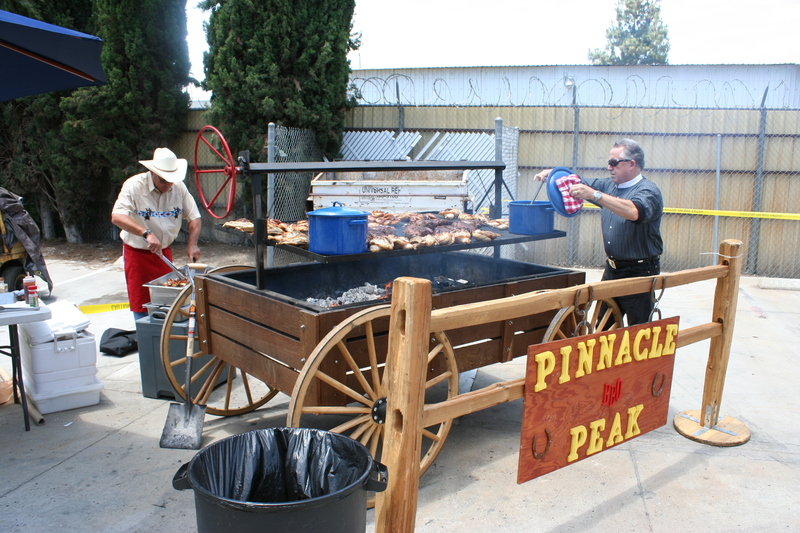 To help keep everyone well fed, and perhaps prevent some empty-stomach drinking issues, Pinnacle Peak Steakhouse was there with their buckboard grill. The menu included tri tip, chicken, and hamburgers, with potato salad, cowboy beans, and tortilla chips. The food was outstanding, as always when Pinnacle Peak is involved. Just a side plug, if you haven’t stopped in at their restaurant on Mission Gorge Rd. west of SR-52, do yourself a favor and drop in for lunch or dinner soon. 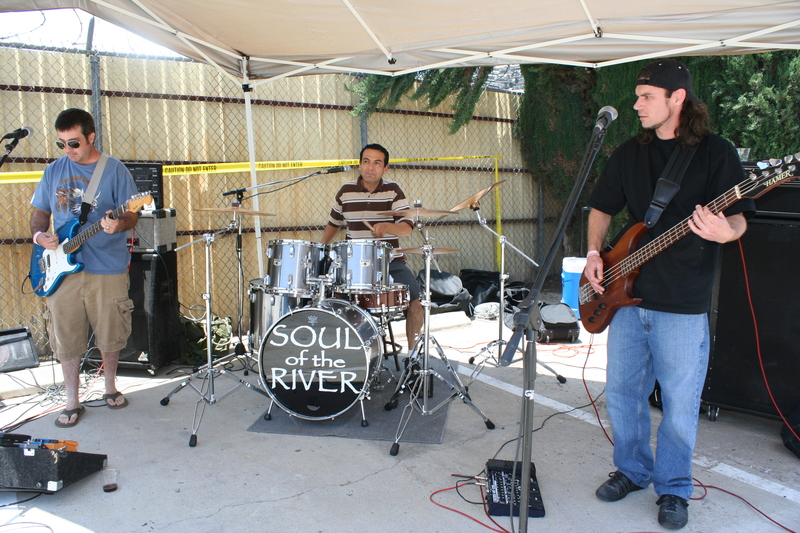 Music was also on the menu, provided by a group from the Inland Empire, Soul of the River. The trio – bassist Steve Hansen, drummer Rene Felix, and guitarist Brett Dawson – has received numerous awards including Best Classic Rock at the 2009 Inland Empire Music Awards. The group has a funky rock style that has been compared to Pearl Jam and Red Hot Chili Peppers. The music was an energizing accompaniment to the food and drink. And speaking of drink, the real stars of the day were the five different beers Manzanita brews: pale, brown, and red ales, IPA, and Riverwalk Blonde. All were well received, but it appeared that Riverwalk Blonde was the most popular, being described as “smooth” and with a pleasing feel on the palate. Even occasional beer drinkers appreciated the flavor of this light brew. Another favorite was the IPA, which was described as “zippy” but not bitter like some similar beers can be. Manzanita serves by the glass and in a growler (for those not into beer, a growler is a fancy jug you can fill and take home). 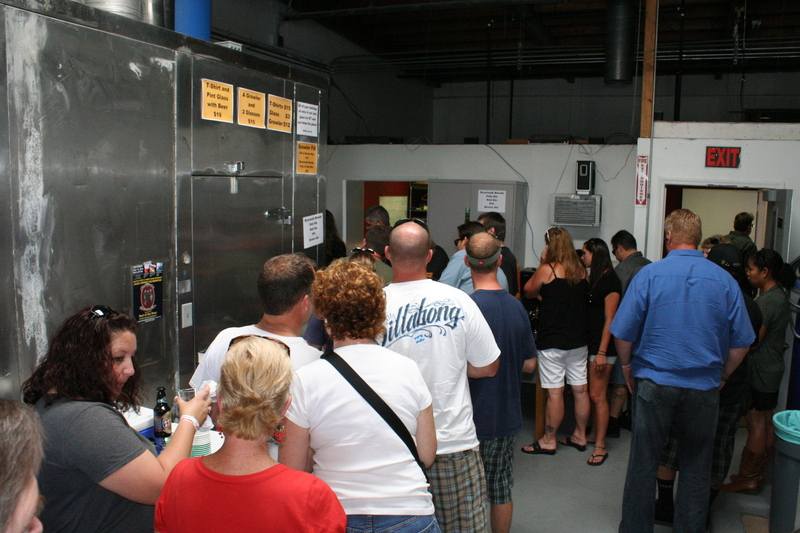 They also have a tasting room where you can sample before going for the big order. 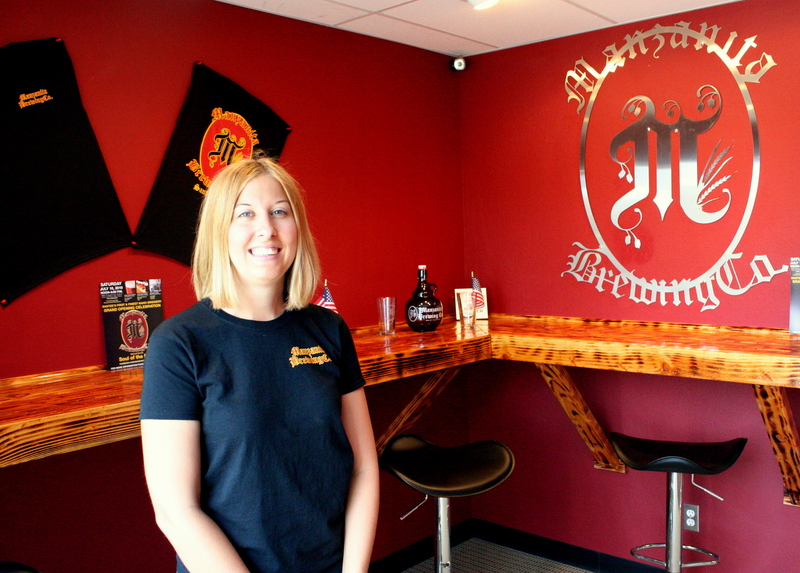 Manzanita Brewing Company is located at 9962 Prospect Street, just east of Cuyamaca Street. You can check out their website (in development) or their Facebook page for more information. February and March were big months for the Santee Hollywood Tans. 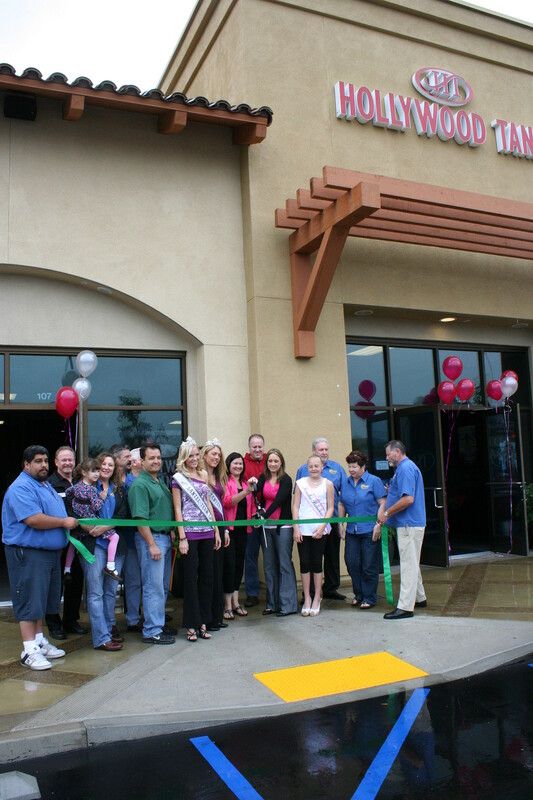 First, on a cloudy and rainy February Saturday that reminded folks why they might need a tanning salon, Hollywood Tans celebrated its “Re-Grand Opening” at their new location in the Marketplace at Santee Center (aka the Henry’s Center). This new space is a great improvement over their previous location near the Rubio’s – not that there is anything wrong with being near Rubios. The improvements are in the amount of interior space now available and the ease of parking, both of which the previous site lacked. Also they now face the parking lot rather than the blank side of another building across a narrow throughway with one strip of parking spaces. 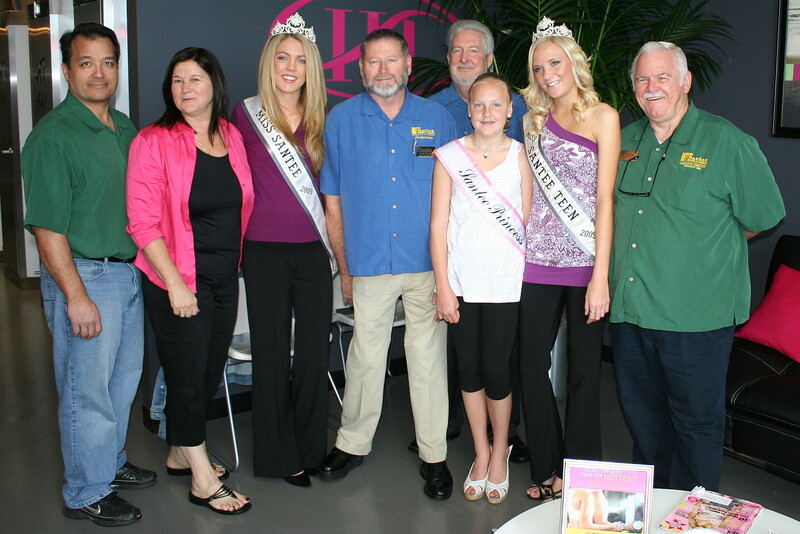 On hand for the festivities were members of the Santee Chamber of Commerce and, in one of their last official appearances, 2009 Miss Santee, Sierra Billock, and 2009 Miss Teen Santee Nicole Ehlke. 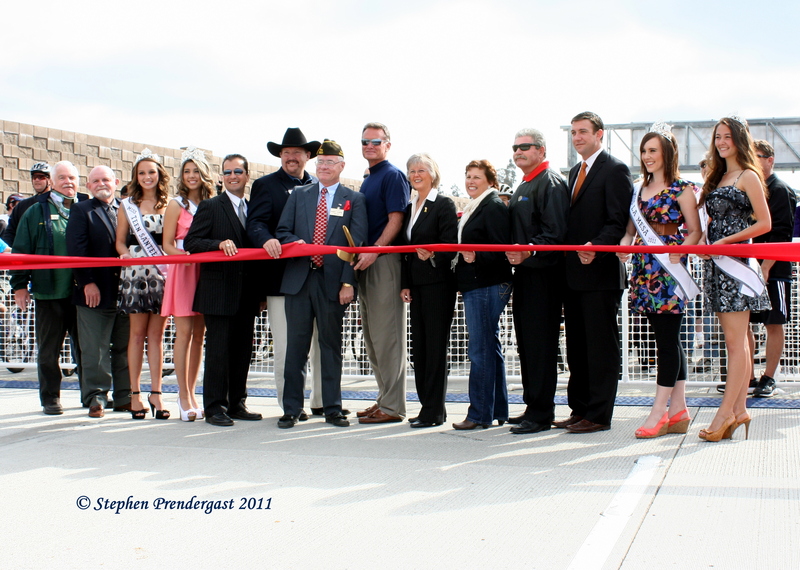 After the ceremonial ribbon cutting, Chamber members shared welcomes and proclamations from the City and State. 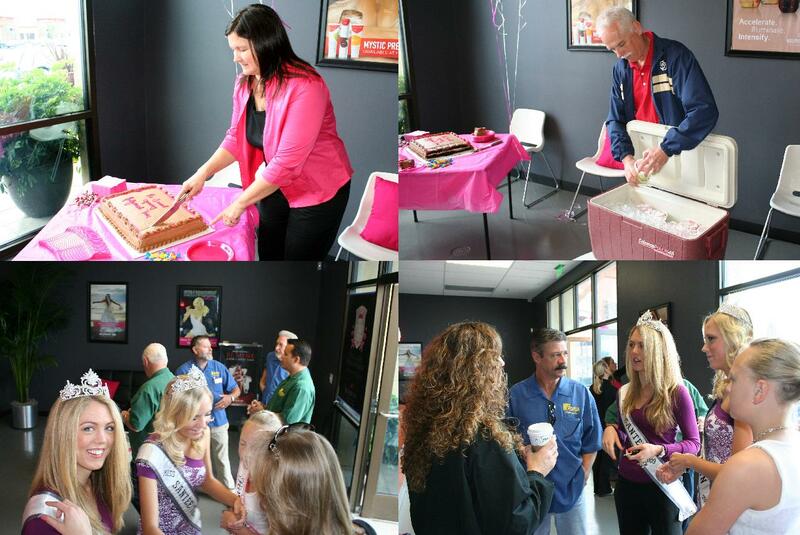 Inside, salon owners Debbie Kneeshaw and Erin Battle celebrated the day with a cake, and Smoothie King owner Greg Hagen provided drinks. 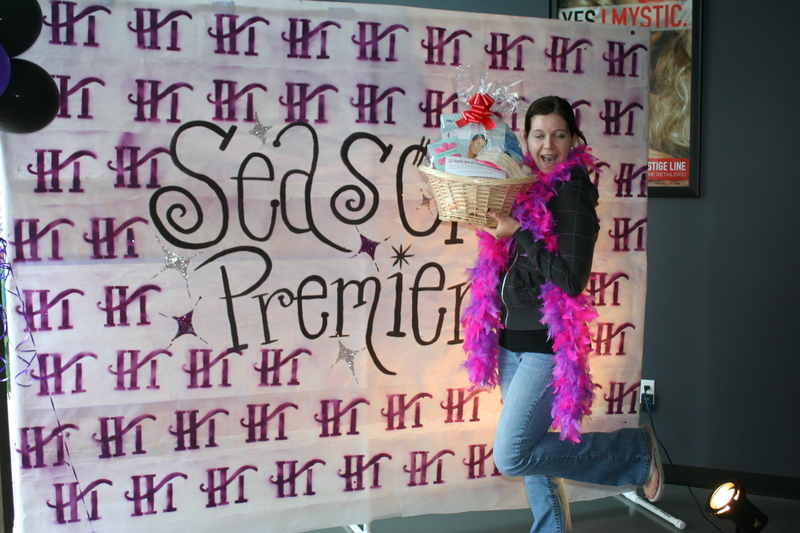 The second big event at Hollywood Tans was Free Tans Day on Saturday, March 6, kicking off the pre-summer tanning season. This is a major event at the Hollywood Tans Salons, and this year the Santee salon used the upcoming Academy Awards as part of their theme, “Red Carpet Ready.” The salon was decked out with balloons, red carpet, Hollywood street signs, and more. Gift bags were given out to lucky guests, and the “joint was jumping” with excitement. As I have mentioned before, I’m not the salon tanning type, but I am impressed by everyone at the Santee Hollywood Tans. 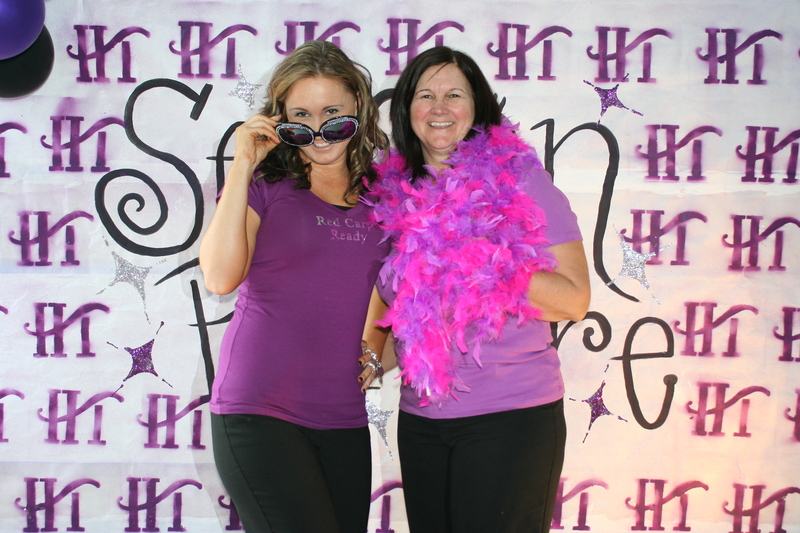 Debbie and Erin are dedicated to their clients, and the women who work there are always friendly and eager to help. The idea of stand-up tanning booths makes sense to me – less chance of falling asleep and getting cooked (not that the staff would let that happen), and more sanitary than lying down where someone else has been baking. Yes, I know they clean the beds off, but there is less space to clean this way and floors take less work. They can explain it all to you much better than I can. If you’re looking to upgrade your tan for summer, you can check out Hollywood Tans at 9331 Mission Gorge Rd., in the Marketplace at Santee, or call them at 619-258-4248. 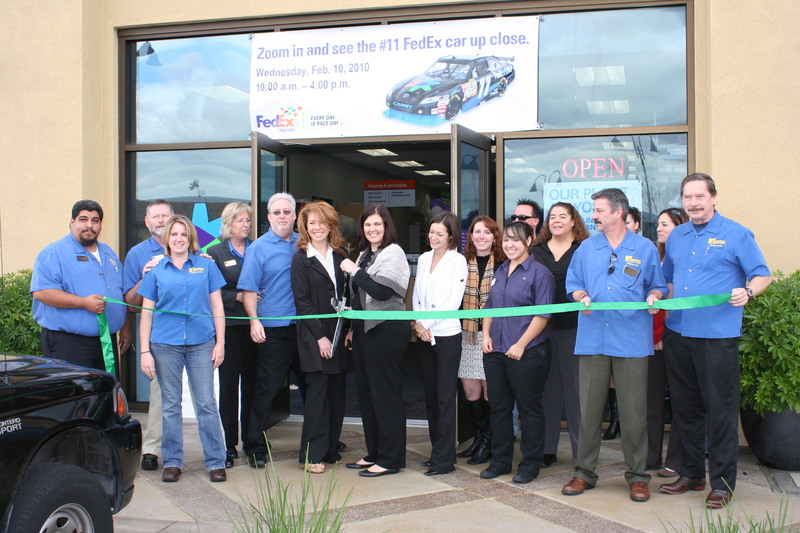 If you are a small business owner, or a NASCAR fan, the place to be on Wednesday, February 10, was at Marketplace at Santee (better known as the Henry’s Center) for the “Grand Opening” and Customer Appreciation celebration at the FedEx Office Store. The location has actually been open for a year, so this was as much an anniversary celebration as an opening. Part of the reason for the delay was waiting for the schedule to open up for the NASCAR FedEx #11 to be there. 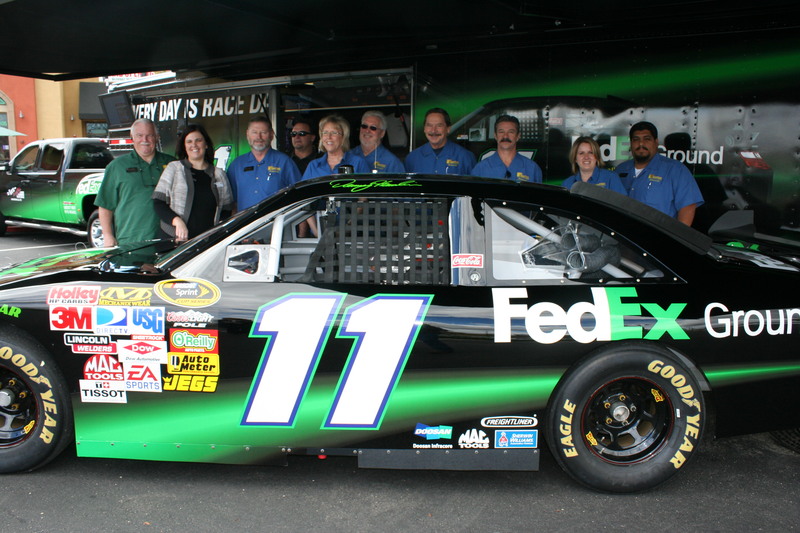 One of the big draws for the day was the green #11 FedEx Ground Toyota Camry, normally driven by Denny Hamlin but on this day sitting quietly in the parking lot along with its information trailer. Many people stopped to have their picture taken beside the car, including the members of the Santee Chamber of Commerce Ambassadors. 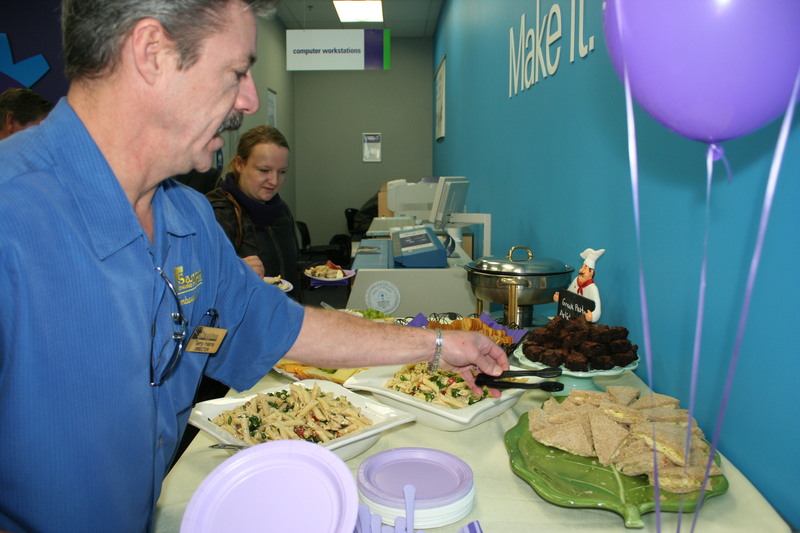 Inside the FedEx Office Center the staff had set up a customer appreciation celebration, including drawings for prizes and food provided by The Invisible Chef – who did put in an appearance in spite of her business name. 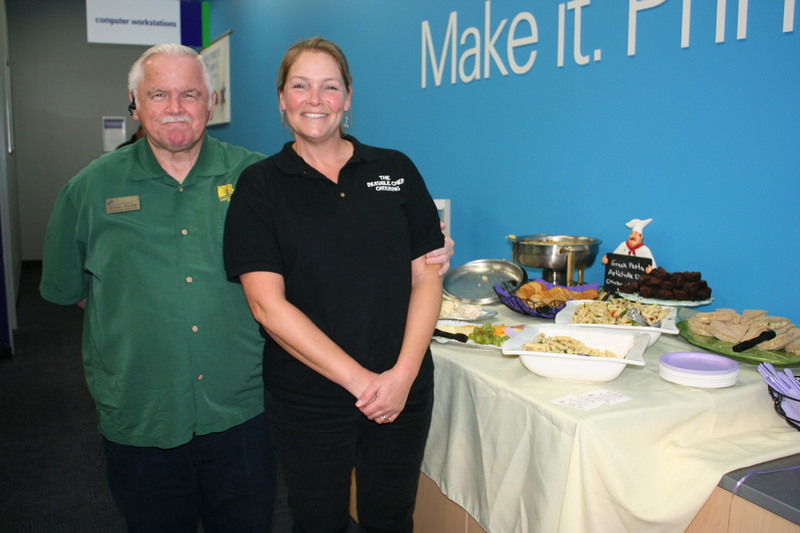 Jennifer and her team were available to answer questions and assist those who came in to do business as well as celebrate. One thing they pointed out was that customers can take advantage of FedEx online services to do much of what they might normally come in for right from their office or home. They can even have supplies delivered. 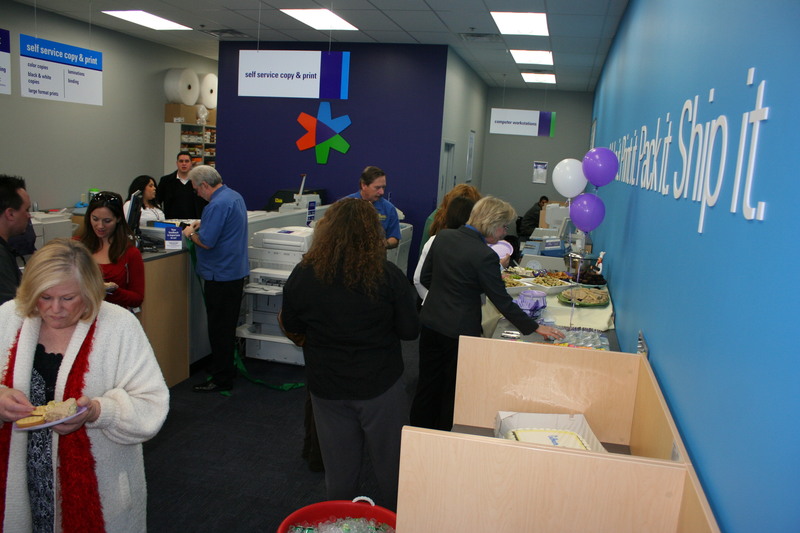 For information about specific services, you can call the Santee FedEx Office at 619-258-5608.